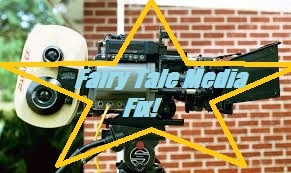 Fairy Tale Fandom: Fairy Tale Media Fix: Shelley Duvall's Faerie Tale Theatre. 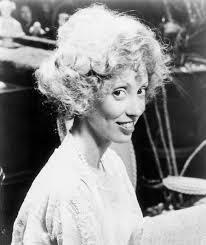 Fairy Tale Media Fix: Shelley Duvall's Faerie Tale Theatre. Faerie Tale Theatre! Faerie Tale Theatre! Whenever I ask people about fairy tale TV shows, someone inevitably brings up ShelleyDuvall’s Faerie Tale Theatre! I had only ever watched a few episodes of it when I was young. Probably because it aired on Showtime which was a premium cable channel and my family didn’t pay for premium cable channels (Faerie Tale Theatre aired on Showtime, both Jim Henson’s The Storyteller and Happily Ever After: Fairy Tales for Every Child both aired on HBO. What is it with fairy tale anthology shows and premium cable?). Anyway, I only saw a few episodes of it when the show came to PBS for a short period of time. For those who don’t know, back in the early ‘80s Shelley Duvall decided she wanted to create a better class of children’s television. So, she shined the Shelley Duvall Signal into the sky and a bunch of her actor and director friends came running to help out (okay, so maybe I’m confusing Duvall with Batman a little bit and for reasons you’ll get as you read more, but you get the gist of what I’m saying). The end result is a collection of 26 hour-long adaptations of famous fairy tales with one or two more obscure ones thrown in. The show is supposedly inspired by the show Shirley Temple’s Storybook, which I just found out about recently. I finally took this series out from one of the local libraries and gave it a watch. So, what did I think? Well, I honestly thought it was kind of a mixed bag. I mean, it’s interesting to see fairy tales depicted in a way kind of reminiscent of the 1966 Batman show with famous guest stars in abundance (I told you the Batman analogy would make sense soon). Some of the actors do great jobs in their roles. Both Matthew Broderick and Christopher Reeves make excellent Prince Charmings in “Cinderella” and “Sleeping Beauty” respectively. James Earl Jones does an admirable job as both genies from “Aladdin and the Wonderful Lamp” and Peter Macnicol does a surprisingly good job as the title character in “The Boy Who Went to Learn About the Shivers” among others (note: I’m just listing the first ones that come to mind. There are so many ‘80s stars in this show it’s hard to keep up). However, there are others that I’m just not keen on. For example, I could have certainly done without Paul Reubens (aka Pee Wee Herman) as Pinocchio and I could have really done without Father Guido Sarducci’s (real name Don Novello) narration of the tale. I’m also not sure that someone of Mick Jagger’s considerable Whiteness should have played an Asian emperor in “The Nightingale”. Also, it may be a personal preference, but I couldn’t stand Ben Vereen as Puss in Boots. It’s probably because of the annoying “cat voice” he gave him. The camera and editing tricks they use to create the magic in the series look cheap now but was probably the best they could manage with both a TV budget and the technology of the time. The backgrounds and scenery are all inspired by the works of certain artists and storybook illustrators. While that’s an interesting idea, it often makes all the scenery look like something set up for a school play. Script-wise, you can tell when they’ve overextended themselves. Usually when they’re given the task of stretching one of the shorter tales into an hour (Goldilocks, The Three Little Pigs) or shortening a long tale (Pinocchio, The Snow Queen). In the case of the shorter tales, sometimes they go off on weird new directions like how their version of Goldilocks seems to straddle the line between compulsive liar and con artist. In some other cases I just wondered how many adults they thought were watching. The early episodes have their share of adult jokes and innuendos slipped in (In Rapunzel, when Rapunzel’s mother tells her husband about her craving for vegetables, he asks if she’d like a cucumber, *wink, wink, nudge, nudge*). It’s nothing that would necessarily be too much for kids, but it would still be lost on a very young audience. And yet, sometimes they knock it out of the park. Some episodes are really, really good. They had an episode based on Robert Browning’s poetic version of “The Pied Piper of Hamelin” starring Eric Idle and it was fantastic. It was very faithful to the text and was able to stir up a whole lot of emotion. Another fantastic effort is the “Beauty and the Beast” episode starring Susan Sarandon which is a straight-up homage both in story and design to the movie version by Jean Cocteau. I also thought they did a pretty good job adapting the more obscure “The Youth Who Went to Learn about the Shivers”, which is kind of a hard one to adapt. I also thought their take on “The Emperor’s New Clothes” was really good, relying very much on the chemistry between Art Carney and Alan Arkin who play the two swindlers who trick the Emperor. Also, even when they don’t do the greatest adaptation, sometimes they can provide ideas that are kind of interesting. In one fairly prophetic turn, they’re one of the earliest examples I’ve seen of a production depicting the Snow Queen as good or misunderstood. Before Disney’s Frozen made the idea an in vogue depiction of the Snow Queen, Faerie Tale Theatre gave us the twist of claiming that the Snow Queen had abducted Kai in order to try and cure him of the shard of the evil mirror he was afflicted by. They didn’t even really change her role in the story as Kai’s abductor, just asked you to look at it differently and placed the bulk of the blame on the goblin who made the mirror. Overall, I don’t think it’s bad. I admire the effort that was put in. This was clearly a passion project for Duvall and it shows with how much well-known talent she got to sign on for it. I wouldn’t necessarily tell you to run out and buy the DVD set, but it’s probably worth a watch if you can get it from the local library like I did. What it really did was get me thinking about fairy tale anthology shows and what the next one might be like. There hasn’t been a fairy tale anthology show on US television for a while and it’s kind of surprising. We’re arguably at the end of a trend in which fairy tales were getting some serious play on television, but in every case it was fairy tale plots and ideas being folded into ongoing dramas rather than shows anthologizing the tales directly. In the past, every anthology had its own style and hook. Faerie Tale Theatre had the hook of having lots of well-known acting talent. Jim Henson’s the Storyteller had cutting-edge practical effects and an acknowledgement of the oral tradition. Happily Ever After: Fairy Tales for Every Child took popular tales and adapted them to different cultures. Grimm’s Fairy Tale Classics is remembered best probably for being the first anime a lot of Americans who grew up in the ‘90s ever saw as well as focusing exclusively on tales from Grimm. If there’s another one, where will it come from and what will make it stand out? I sure hope I have the chance to find out (though, knowing my luck with premium channels, it will probably be on Netflix. I’m not subscribed to Netflix). The version of Aladdin with Leonard Nimoy as the villain was this show. As for the Christopher Walken version of Puss in Boots, that's a whole other thing. That was actually a movie from 1988. You see, back in the 1980s there was a production company called Cannon Films. Cannon Films was a branch of Golan-Globus Productions. Today, Golan-Globus is famous for making some of the most hilariously bad movies of the '80s including Superman IV: The Quest for Peace, Breakin' 2: Electric Boogaloo and the MST3K favorite Alien from LA. Anyway, back in the late '80s these two schlock-meisters decided that they were going to take on Disney by making their own series of live action fairy tale musicals that they called Cannon Movie Tales (totally not kidding). 14 films were planned but only 9 were released. And lucky me, I managed to acquire a DVD set containing most of them. Stay tuned. Interestingly, the 12 Dancing Princesses were diminished in number in this show's version. There were only 6 princesses. Though, it was a decent adaptation. I've seen worse like the movie The Wonderful World of the Brothers Grimm which changed it to 1 dancing princess and used the story as a showcase for the dancing skills of Fred Astaire for some reason (probably just for the reason that they managed to sign Fred Astaire). Great review and I agree on pretty much everything. Not to minimize the effort or the passion of Duvall, but I very much share the impression of the "glorified school play" that pops up more often than not. I think current directors might be able to handle such limitations a little better and make that a plus, but then they also have better cinematography and lighting options which would help too. I think OUAT is the modern day equivalent of the production, except that OUAT uses green screen rather than actual sets and props much of the time. The writing, however, is definitely for stage most of the time, not TV and I think that adds to the school play vibe too. I sound like I'm down on the series when I'm really not. It's a stellar effort and I would have been happy to be involved with any of it. There are weird choices but some interesting ideas and risks too. I remember watching the Mick Jagger performance for the first time and thinking "who would have thunk this rock dude liked fairy tales?!" but was impressed with his performance all the same. I just found him a really weird choice for a Chinese person. (I actually wondered, at the time, if perhaps he had some Chinese ancestry I didn't know about, but then I was naive about misrepresentation then too.) You have to wonder if Jagger himself wonders why he agreed to that role now! Great review - thanks again! When it comes to Disney, I think part of it had to do with the song "Let it Go" and part of it was that they really wanted to do a movie about sisters. Why they didn't just choose a new story is probably because they had already been trying to make a Snow Queen movie ages ago and then had to file it away. Sometimes (or maybe often times) the story becomes what the movie makers want it to be. For another example, Big Hero 6 was originally a Marvel comic about the official superhero team of Japan. The comic included Hiro, a young genius who builds a personal bodyguard robot named Baymax who is based on his stern, yet loving father who passed away. For Disney's version, Japan is replaced with an America/Japan hybrid and Baymax is now a kind robot nurse built by Hiro's dead brother. Why? Probably because Disney wanted to make a movie based around the idea of brothers the way Frozen was about sisters. It was still a good movie, arguably better than the comic it was based on. It just wasn't that much like the original idea.